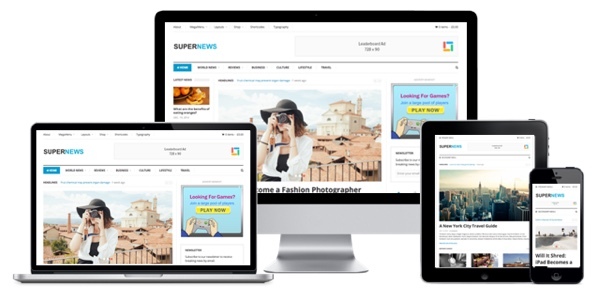 SuperNews – is a responsive, flexible and super Multi-purpose WordPress theme. It supports drag n drop feature plus WooCommerce. 6 page layouts, 4 category styles and more.